It is ideal for small, flexible everyday production. Typically selected by butcher shops, hotels. Restaurants, institutions, grocery stores. 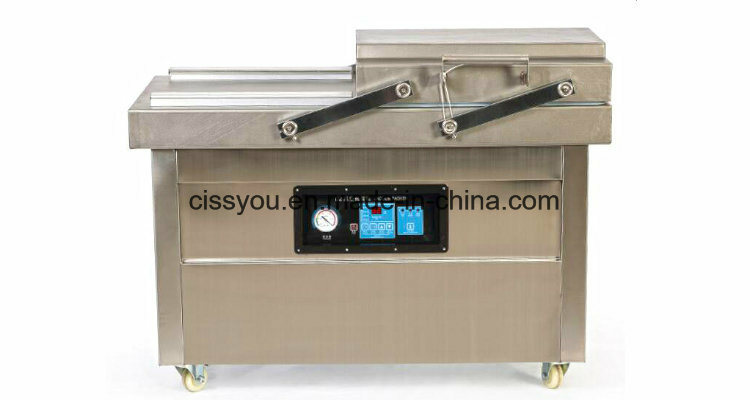 This table top single chmaber machine are perfect for vacuum packaging your product to extend shelf life. Prevent freezer burns and maintain your product in a controlled automosphere. 1.WeÂ areÂ theÂ directÂ manufacturer. Â·Â AllÂ theÂ machinesÂ weÂ sellÂ areÂ madeÂ byÂ ourselvesÂ withÂ lowÂ priceÂ andÂ highÂ quality. Â·Â IfÂ anyÂ interestÂ onÂ ourÂ machine,Â pleaseÂ feelÂ freeÂ toÂ contactÂ meÂ andÂ letÂ meÂ knowÂ yourÂ requirementÂ onÂ capacityÂ andÂ materialÂ size. 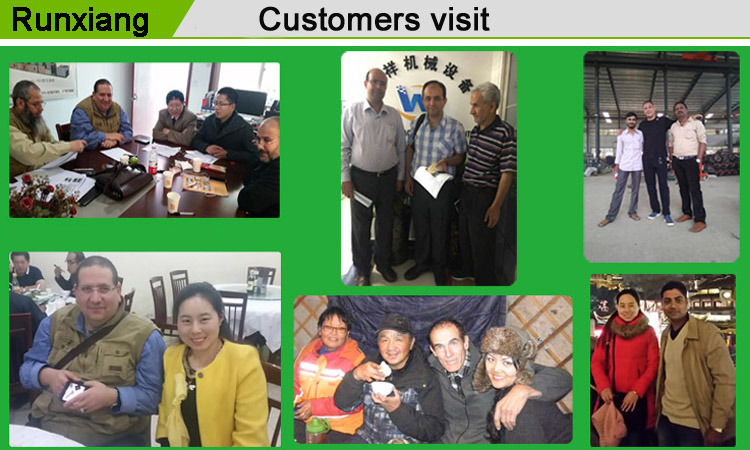 Â·Â WeÂ areÂ professionalÂ machineÂ manufacturer,Â weÂ willÂ helpÂ toÂ chooseÂ theÂ mostÂ suitableÂ machineÂ forÂ you. Â·Â WholeÂ plantÂ designÂ andÂ drawingsÂ areÂ freeÂ afterÂ setÂ order. Â·Â QualityÂ Commitment:Â QualityÂ Warranty,Â GranteeÂ Period:Â 1Â year. ManyÂ thanksÂ forÂ yourÂ trust.weÂ canÂ provideÂ youÂ withÂ designÂ schemeÂ forÂ completeÂ productionÂ lines,Â spotÂ inspectionÂ andÂ operatorÂ trainingÂ accordingÂ toÂ yourÂ demandsÂ andÂ theÂ conditionsÂ ofÂ appliedÂ spot,Â weÂ canÂ helpÂ youÂ chooseÂ theÂ rightÂ equipments. EstablishedÂ inÂ 2006,Â ourÂ companyÂ isÂ oneÂ professionalÂ manufacturerÂ integratingÂ R&D,manufacturingÂ andÂ trading,weÂ areÂ committedÂ toÂ feedÂ machine,pelletÂ machine,hammerÂ mill,grinderÂ mill,briquetteÂ machine,snackÂ foodÂ extruderÂ machine,coalÂ processÂ machineÂ line,strawÂ briquetteÂ machineÂ line,foodÂ machineÂ line,farming,agricultureÂ equipmentsÂ forÂ years.WeÂ haveÂ 80Â staffÂ membersÂ andÂ 16Â techniciansÂ ofÂ researchÂ team.Â SoÂ weÂ haveÂ moreÂ competitiveÂ strength,advancedÂ processingÂ technologyÂ andÂ scientificÂ management.AndÂ weÂ areÂ locatedÂ inÂ ZhengzhouÂ city,HenanÂ province,whichÂ isÂ theÂ businessÂ andÂ economyÂ center withÂ easyÂ transportation.OurÂ internationalÂ airportÂ nameÂ isÂ ZhengzhouÂ XinzhengÂ InternationalÂ Airport. 1.BriquetteÂ machine:Â coalÂ andÂ charcoalÂ briquetteÂ machine,sawdustÂ briquetteÂ machine,biomassÂ briquetteÂ machine,carbonizationÂ machineÂ andÂ soÂ on. 3.Â constructionÂ machine:brickÂ makingÂ machine,concreteÂ mixer,stoneÂ Â andÂ cementÂ crusher,conveyor,colourÂ machine,automaticÂ wallÂ remendingÂ machineÂ andÂ soÂ on. 4,crusherÂ andÂ grinder:coalÂ andÂ charcoalÂ crusher,Â strawÂ crusher,fruitÂ crusher,woodÂ crusher,grainÂ crusherÂ andÂ combinedÂ machine,woodÂ chipper,woodÂ shredder,multifunctionalÂ stainlessÂ steelÂ crusher,grainÂ grinder,coffeeÂ grinder,cornÂ grinderÂ andÂ soÂ on. 5,woodworkingÂ machine:woodÂ peelingÂ machine,woodÂ chipper,woodÂ crusher,woodÂ grinder,woodÂ shaving,andÂ soÂ on. 6,feedÂ pelletÂ machine:pelletÂ mill,pelletÂ machine,feedÂ pelletÂ machine,fishÂ feedÂ machine,animalÂ feedÂ machine,fertilizerÂ pelletÂ machineÂ andÂ soÂ on. 7,packingÂ machine:grainÂ packingÂ machine,snackÂ packingÂ machine,vacuumÂ packingÂ machine,automaticÂ pillowÂ packingÂ machine,shreamÂ packingÂ machineÂ andÂ soÂ on. 8,recyclingÂ machine:plasticÂ crusher,plasticÂ granulator,metalÂ crusher,clothÂ cutter,radiatorÂ separatorÂ machineÂ andÂ soÂ on. TheÂ notableÂ qualityÂ andÂ outstandingÂ performanceÂ endowÂ theseÂ productsÂ enjoyingÂ greatÂ popularityÂ amongÂ ourÂ customers. ShouldÂ youÂ haveÂ interestÂ ofÂ itemsÂ mentionedÂ above?Â KindlyÂ letÂ usÂ knowÂ byÂ returnÂ mail.Â MeanwhileÂ ifÂ youÂ requireÂ theÂ otherÂ merchandisesÂ madeÂ inÂ China,Â plsÂ feelÂ freeÂ toÂ contactÂ me. LookingÂ forwardÂ toÂ hearingÂ fromÂ youÂ soon. OurÂ featureÂ products:coalÂ orÂ charcoalÂ briquetteÂ machine,carbonizationÂ machine,strawÂ briquetteÂ machine,dryingÂ machineÂ ,cleaningÂ equipment,foodÂ machineÂ ,Â hammerÂ mills,grainÂ hammerÂ mill,corn/maizeÂ flourÂ mill,farmÂ machinery,feedÂ processingÂ machinery,feedÂ pelletÂ millÂ machine,peanutÂ processingÂ machine,cornÂ shellerÂ andÂ thresher,woodÂ processingÂ machine,etc. Moreover,Â ourÂ productsÂ haveÂ attainedÂ ISO9000Â Certificate. TakingÂ "SincerityÂ makesÂ trust,Â QualityÂ winsÂ market"asÂ ourÂ businessÂ philosophy,Â OurÂ companyÂ alwaysÂ putÂ qualityÂ inÂ theÂ firstÂ placeÂ andÂ meetÂ ourÂ customers'Â needsÂ byÂ ensuringÂ highÂ qualityÂ productsÂ andÂ theÂ mostÂ professionalÂ services,Â Therefore,Â ourÂ productsÂ haveÂ beenÂ exportedÂ toÂ almostÂ theÂ wholeÂ worldÂ andÂ enjoyedÂ aÂ goodÂ reputationÂ fromÂ ourÂ customerÂ forÂ years. WeÂ welcomeÂ newÂ andÂ oldÂ customersÂ fromÂ allÂ walksÂ ofÂ lifeÂ toÂ contactÂ usÂ forÂ futureÂ businessÂ relationshipsÂ andÂ achievingÂ mutualÂ success.